Not surprisingly, Sultai Midrange has shown resilience in the face of a metagame tuning against it. While its numbers are down, it still took home another trophy in this past weekend's Classic, as well as reaching the finals in the Standard portion of the Team Constructed Open. The other big deck of last week, Esper Control, continued to show up, albeit with a toned-down presence, thanks to a format better prepared to fight it. In terms of moving and shaking, this week saw advances in Mono-Red and Nexus of Fate decks, with both archetypes evolving to meet the demands Sultai and Esper put on the format. While Hostage Taker appeared in only a few of the lists last week, this time around, it was pretty universally a two-of. 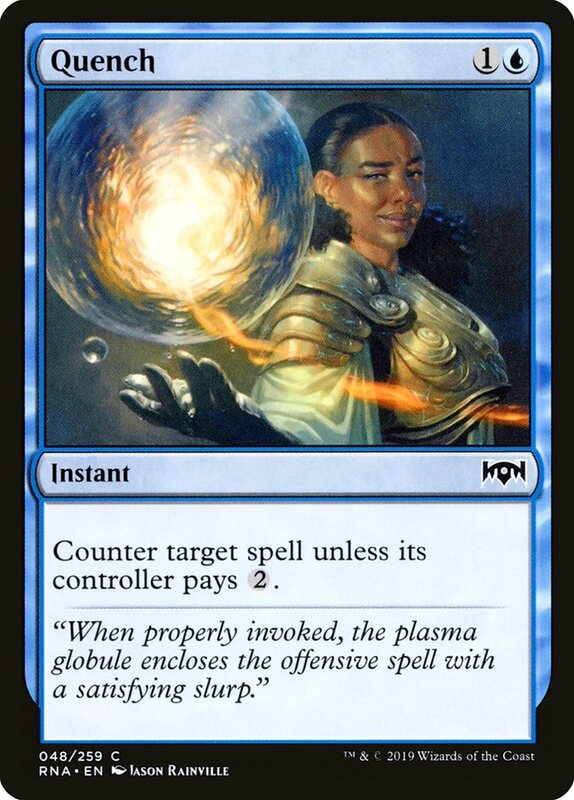 Notably, it works extremely well against opposing players with Hydroid Krasis (and should be kept in mind for Esper sideboards, and anyone else with access to both blue and black). Incubation Druid was largely copied as a one-of, but I'm a lot less confident in that one's number being anything other than an information cascade. Ian Bosley's finalist list from the Team Constructed Open actually dropped as low as two, in addition to keeping the Carnage Tyrants in the sideboard. Instead, he maindecked a Biogenic Ooze, two Plaguecrafters, and an extra Incubation Druid. 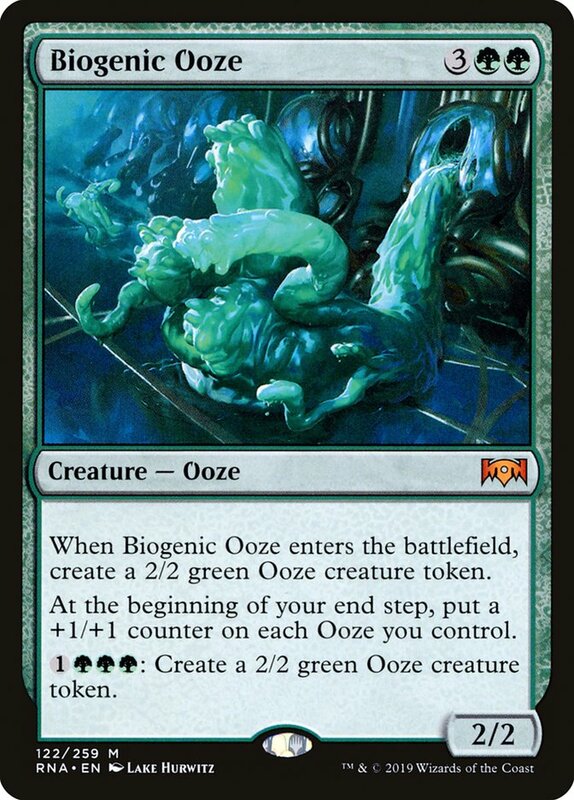 While I don't hate the Ooze, I'm not sold on running any copies over the first four Krasis, at least in Sultai. Hydroid Krasis continues to be the most influential Ravnica Allegiance creature in Standard, and like last week, it shows up in a wide range of decks, not just Sultai (basically anything with both blue and green mana). Team Constructed Open Top 4 competitor Matt Tumavitch came packing a Bant Token list that eschewed the trendy Hero of Precinct One in favor of the Krasis (and not needing to worry so much about playing gold cards). 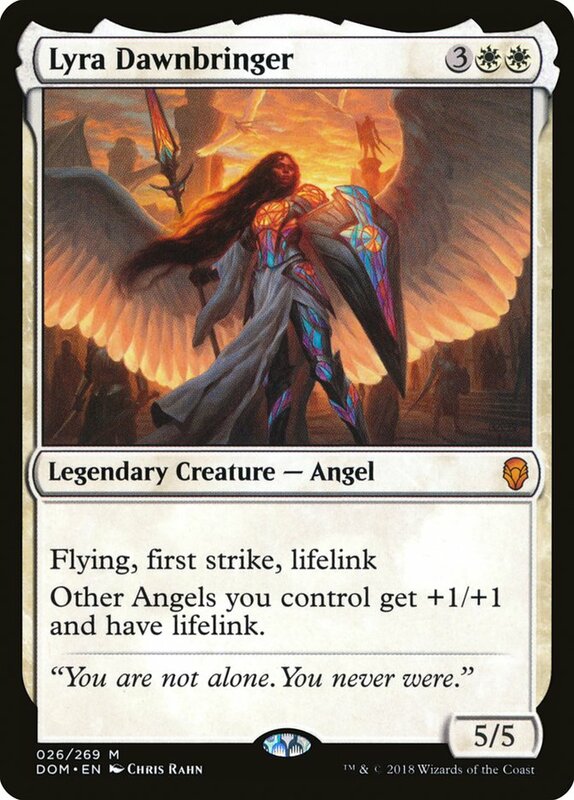 Hero of Precinct One is quite powerful, no denying; however, not playing it means Tumavitch can run Llanowar Elves, Incubation Druid, Baffling End, History of Benalia, Conclave Tribunal, and Ajani, Adversary of Tyrants without sacrificing any value. 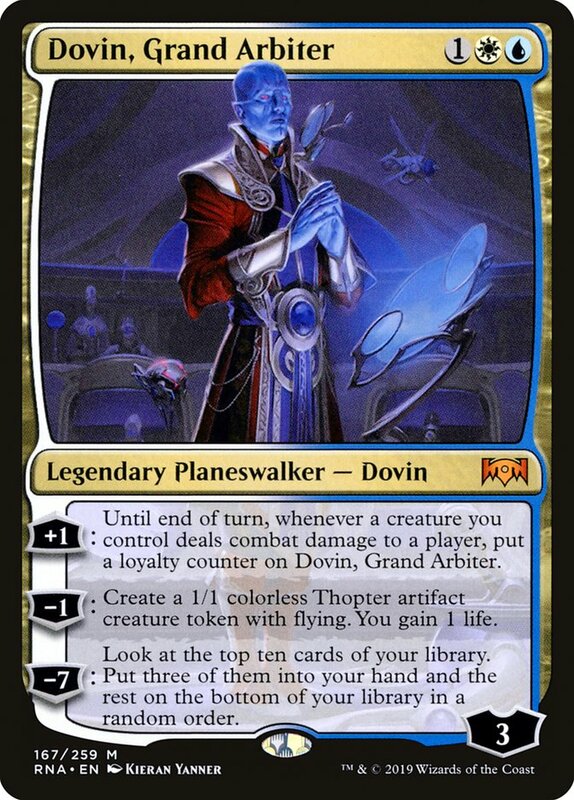 Even without the extra incentive to play gold cards, I'm not at all sure about whether we're really supposed to pass on both Dovin, Grand Arbiter and Deputy of Detention. 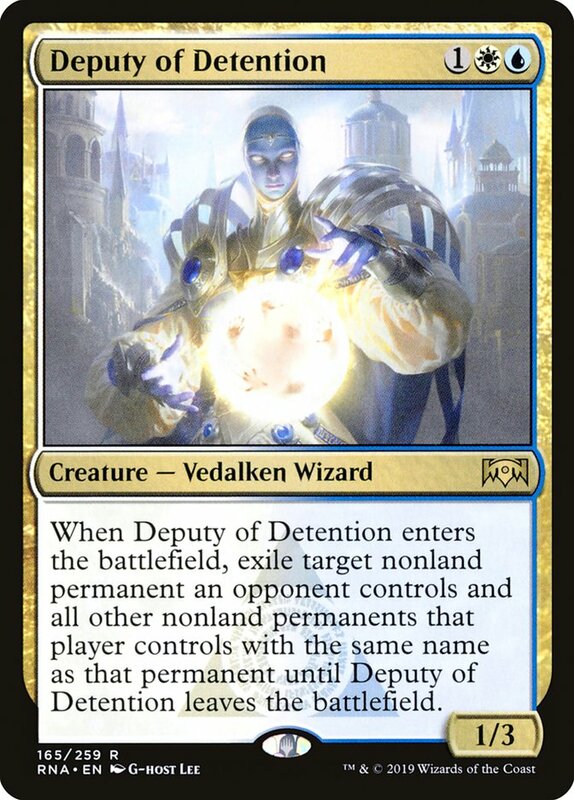 Deputy of Detention still seems great in the format, and Jacob Hagen's first-place list from the Team Constructed Open is another example of the recent update to white aggro, splashing blue for just Deputies (and a little permission in the sideboard). Compared to the list folks were running last week, Hagen has all but removed the Tithe Taker portion (dropping from four to one) in order to make room for even more one-drops and more Conclave Tribunals (trimming Deputies a little). Personally, I'm probably somewhere in the middle, but I'm not sure we've figured out the best build of Azorius Aggro anyway. 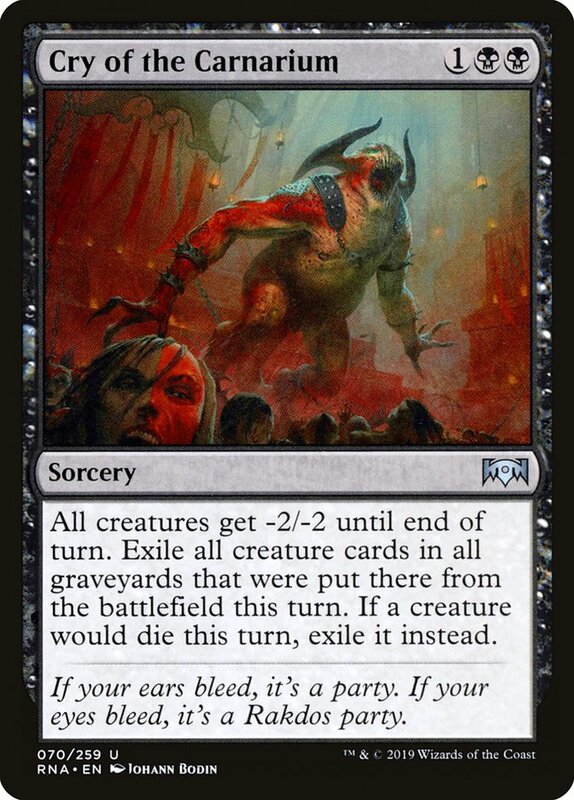 I sort of suspect we're missing at least one key card from the maindeck, particularly if we can figure out the right way to improve our Sultai matchup now that everyone has so many copies of Cry of the Carnarium. 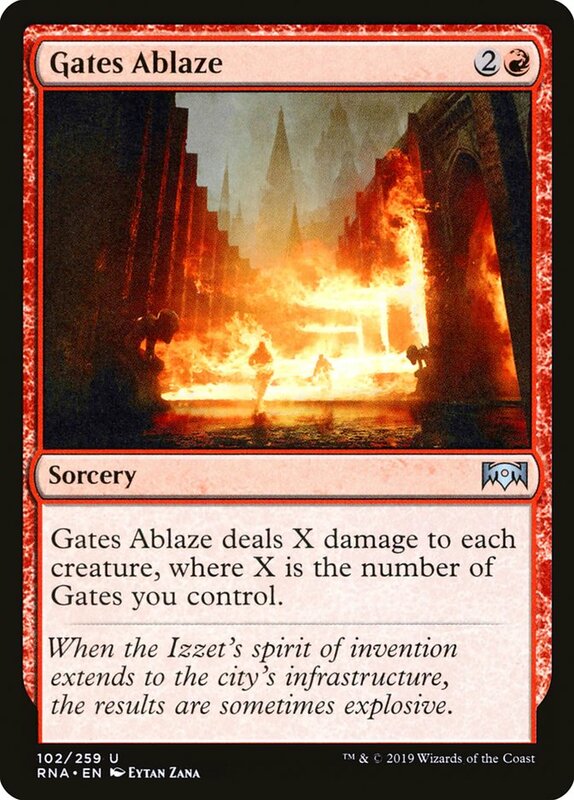 Obviously, Esper decks have access to Kaya's Wrath, which is an issue, but there are also the new Guildgate decks and their three-mana version, Gates Ablaze. 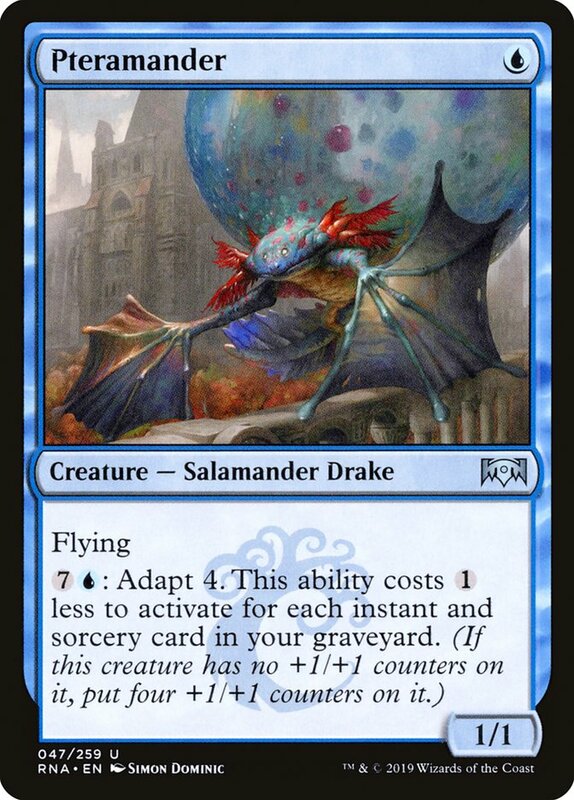 While most of the Guildgate decks last week were more creature-heavy, this week's top performer with the archetype was Drake Sasser with a Nexus of Fate combo-control version, seeking to win with Hydroid Krasis. Not surprisingly, his sideboard is chock-full of creatures for a dramatic transformation when needed. There are rumors of Nexus of Fate possibly being banned in Arena only (or in best-of-one, so same thing). 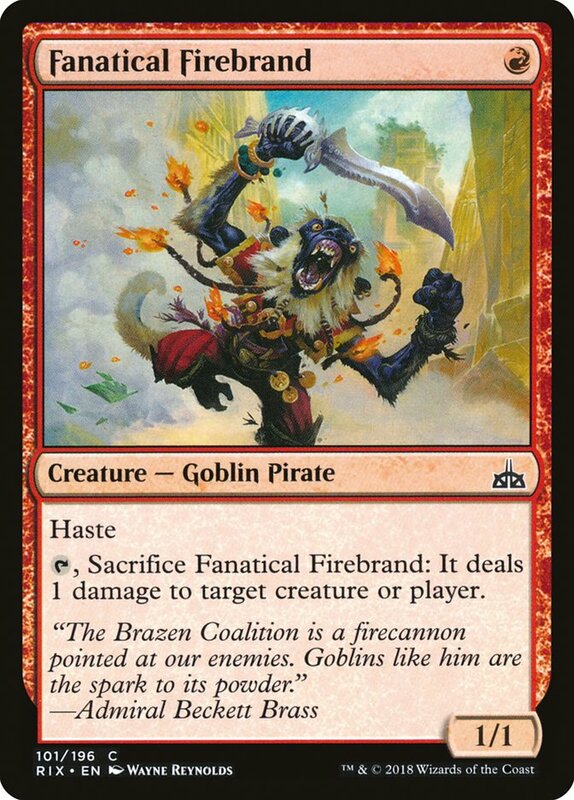 As much as I enjoy the nuance of sideboard maneuvering, I really think best-of-one is the future (or at least an important part of it). When you're playing best-of-three, you have so much less ability to predict whether you actually have time to play a match or not. 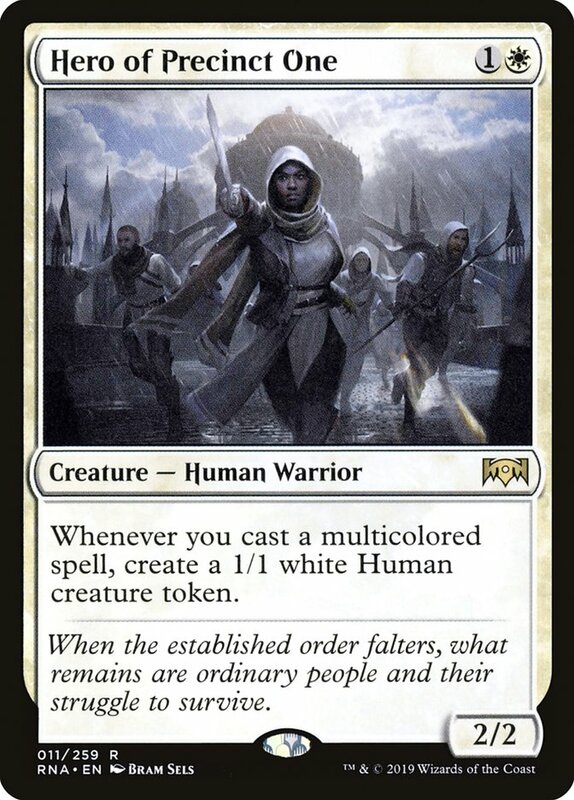 Nevertheless, constructing a format for best-of-one takes a very different sense of design sensibilities than we've been seeing in recent years of Magic, so it'll be interesting to see if the game continues in that direction smoothly. 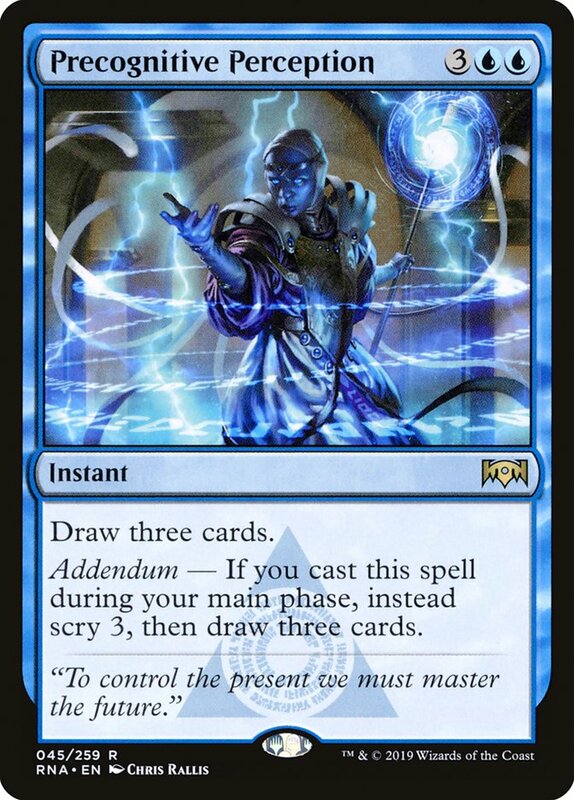 Whatever the outcome there, the idea of divorcing Arena from paper carries with it a lot of risks, but at least banning Nexus of Fate in best-of-one is a little less "fake" than banning it in Arena (ostensibly because of the difference in how timers work in Arena versus paper Magic, or even Magic Online). 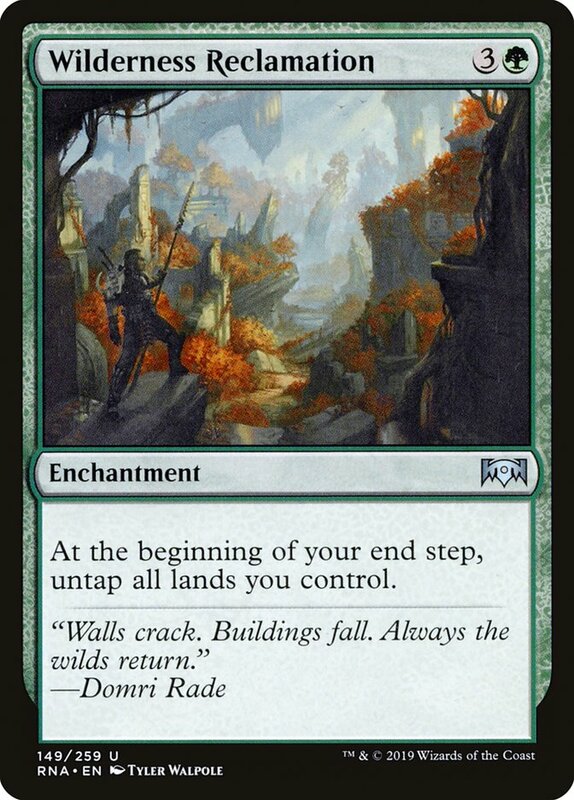 Personally, I think the format would be better off without Nexus of Fate, and I'm guessing Wilderness Reclamation will bring things to a head. 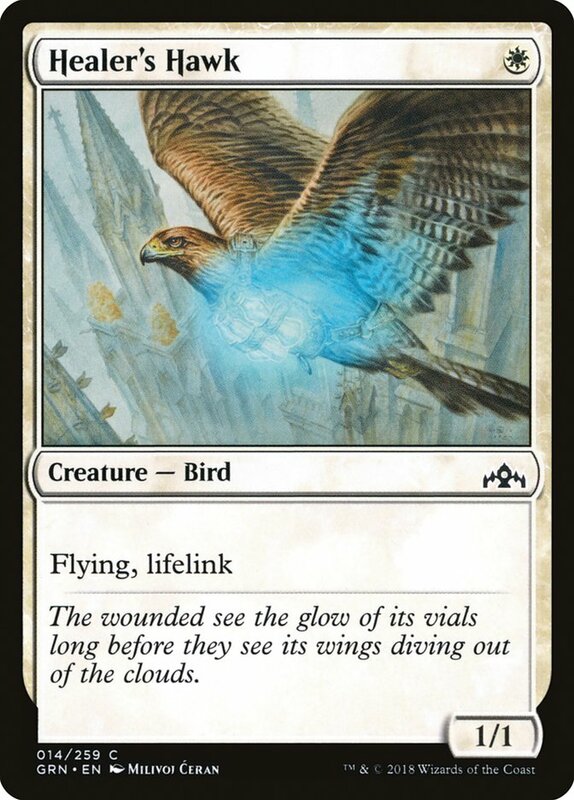 "Turbo Time Walk" decks can be cute as oddball curiosities, but if they're regularly 10% of the field, the joke gets really old. Ali Ainatrazi Top 4'ed the Classic with a more dedicated two-color build, similar to what we were seeing initially except with a playset of Frilled Mystics. 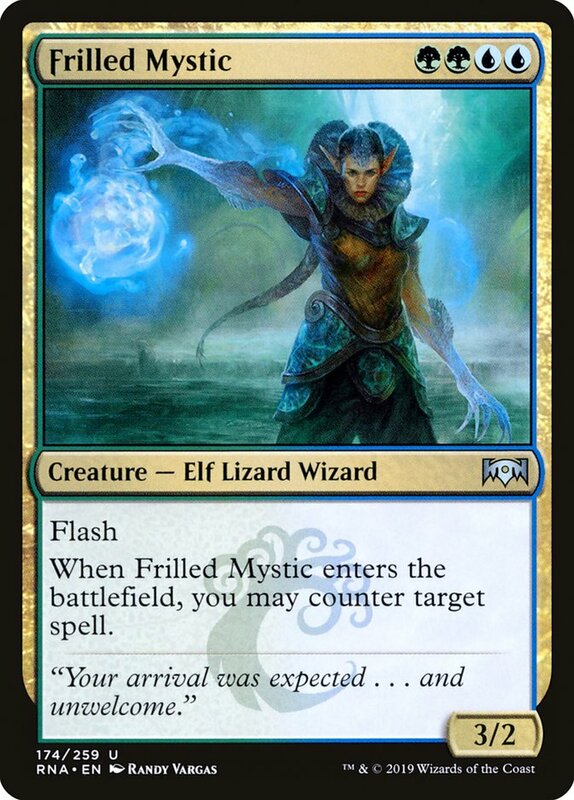 Frilled Mystic is a great card to begin with, and how perfectly it follows a Wilderness Reclamation is a big part of the improvement in the archetype this week. While I generally have a small preference for Precognitive Perception over Chemister's Insight, I agree with Ali that the use of Wilderness Reclamation and Frilled Mystic is a good enough reason to bias in favor of the Insights. One cute piece of tech in Ali's sideboard caught my eye. While most people have opted for cards like Crushing Canopy, here we see Sagittars' Volley taking up those slots. 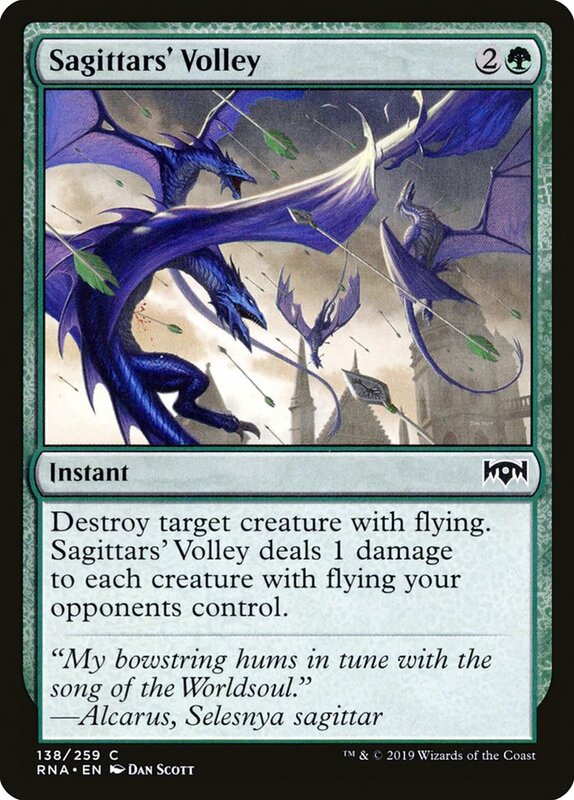 At the very least, if you're never really killing enchantments with your Crushing Canopy, Sagittars' Volley is just better. There really are a fair number of one-toughness flying threats seeing play at the moment. Even with a little less flexibility (not being able to hit their Conclave Tribunal on your Wilderness Reclamation), I like trying Sagittars' Volley against white decks at the moment. Killing any number of additional flying threats seems like it could be fairly high leverage. Nexus of Fate decks really overperformed this week, so we should probably check out at least one more. Karthik Vemulapalli piloted a fairly typical Bant Nexus build to a Top 8 finish in the Team portion with a couple of twists. 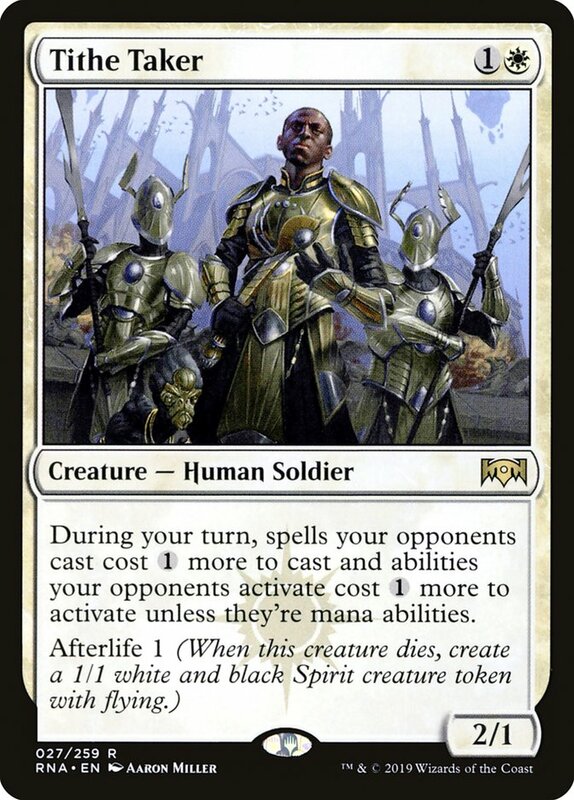 First of all, a playset of Depose // Deploy rather than mucking about with Warrant // Warden? I like it! 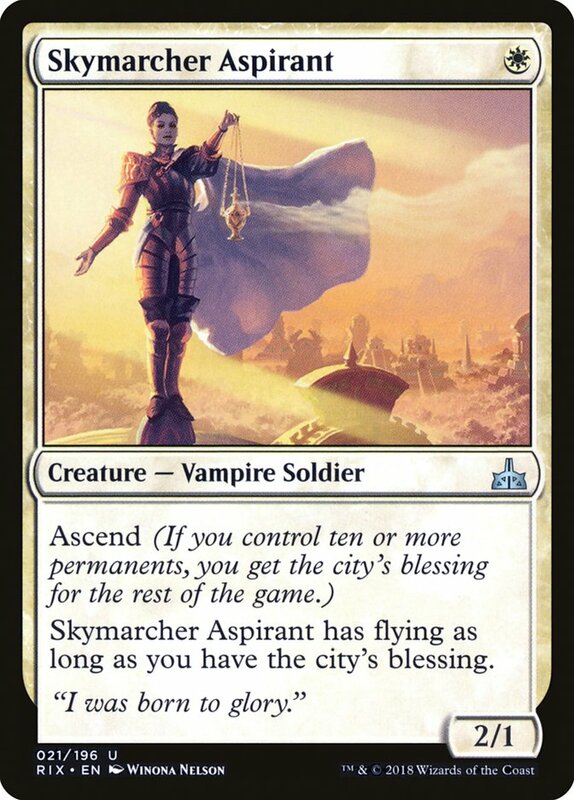 I continue to see Warrant // Warden as overrated, liking neither the Serra Angel half nor the conditional removal half. Depose fits perfectly with the Turbo Fog experience and keeps us digging. Deploy is a much better victory condition, being cheaper, giving more chump blockers (and life while doing so), being better against removal, and synergizing better with Wilderness Reclamation. 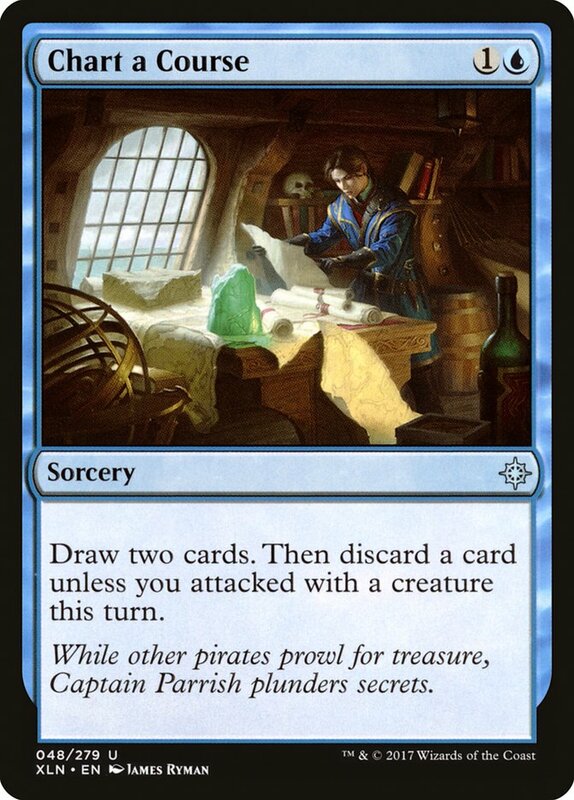 Also of note, that's a helluva sideboard plan. 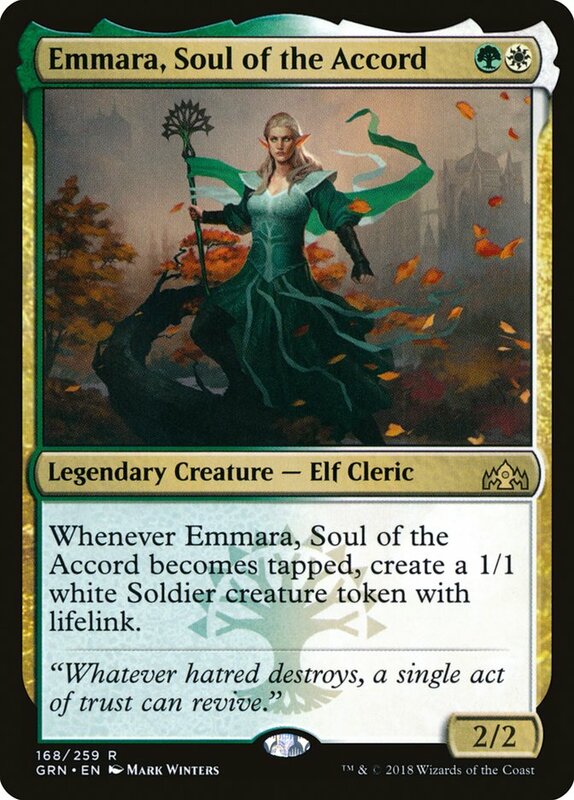 I'm generally a fan of the whole "sideboarding in good threats in a variety of packages" thing, but I guess I'd have to see Emmara, Soul of the Accord in action to be a believer that she's really the best we can do in those slots. While not strictly a Nexus of Fate deck, Dylan Ahern's Temur Reclamation deck shares enough in common to warrant discussion alongside them. His list is an update to the Todd Anderson style of Temur, capitalizing on Primal Amulet as an additional mana engine beyond Wilderness Reclamation. 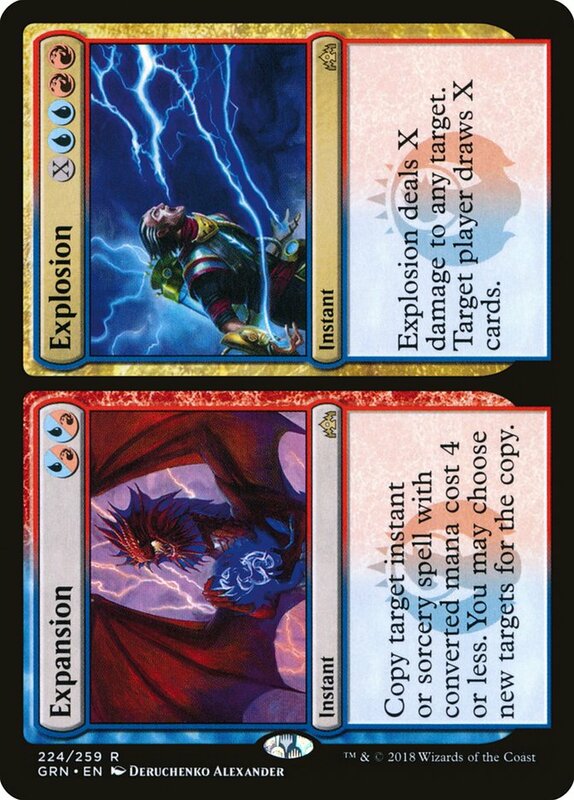 This style is definitely a lot more about setting up big Expansion // Explosions and Electrodominance, so no creatures maindeck isn't crazy. 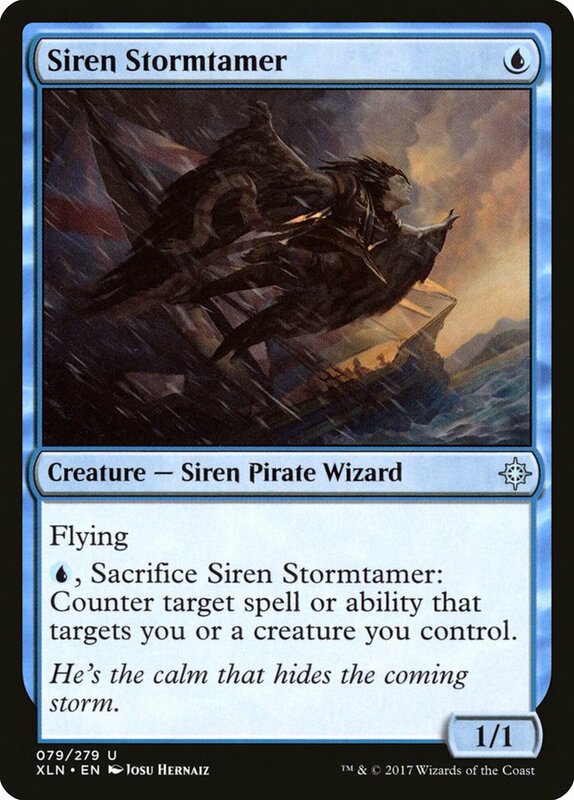 Still, I'm not sure I love Murmuring Mystic and Niv-Mizzet, Parun as the only sideboard threats. 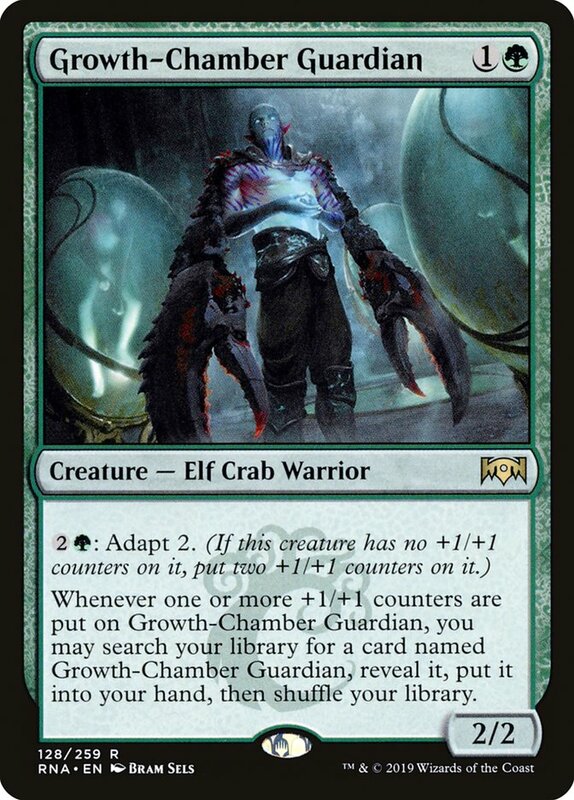 I'm just so into Growth-Chamber Guardian! 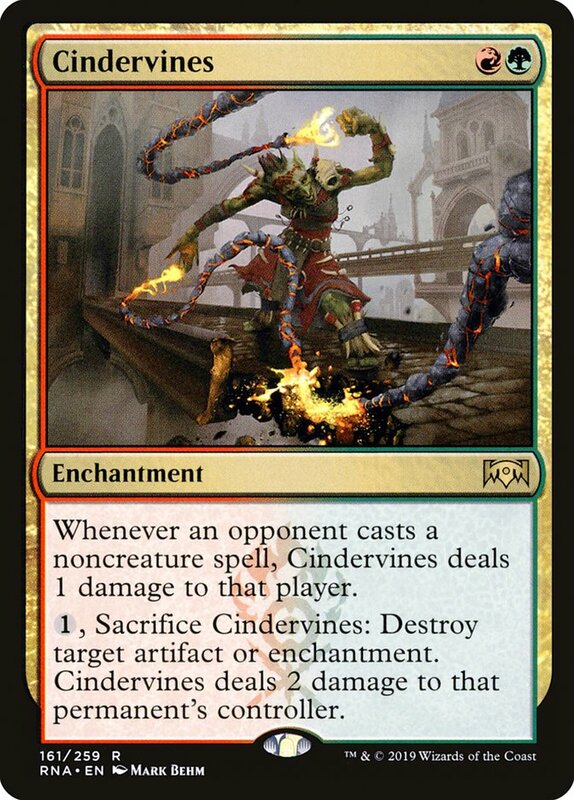 I do really like the Cindervines in the sideboard, though. Cindervines does a really great Seal of Primordium impression, but the damage can really add up if you and your opponent are playing a long and drawn-out control battle. With Wilderness Reclamation already such a pillar of the format and only growing in popularity, it'll be important to find ways to tune our lists with it, Sultai, and Esper in mind. 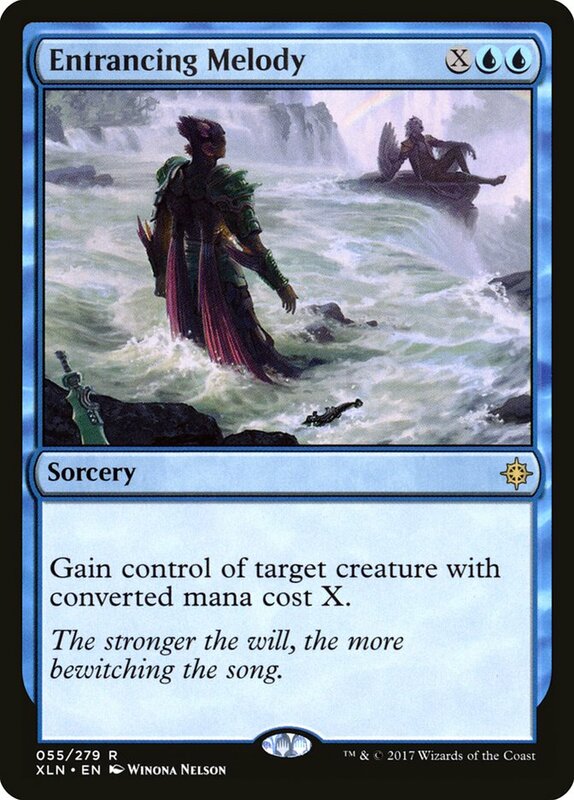 Some strategies, like Esper Control, are already starting with a lot of anti-Wilderness Reclamation stuff going on and are more interested in finding better answers to Hydroid Krasis. 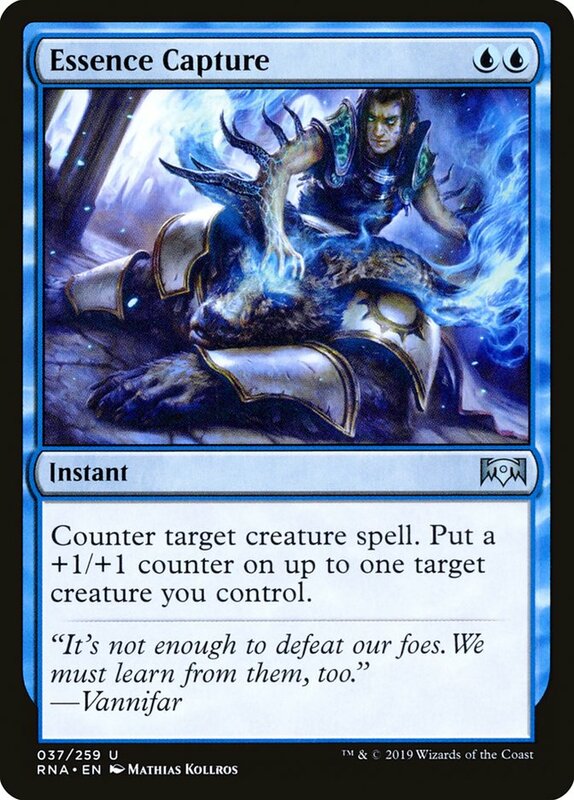 For starters, the addition of four maindeck Thought Erasure is a major departure from previous conventions. 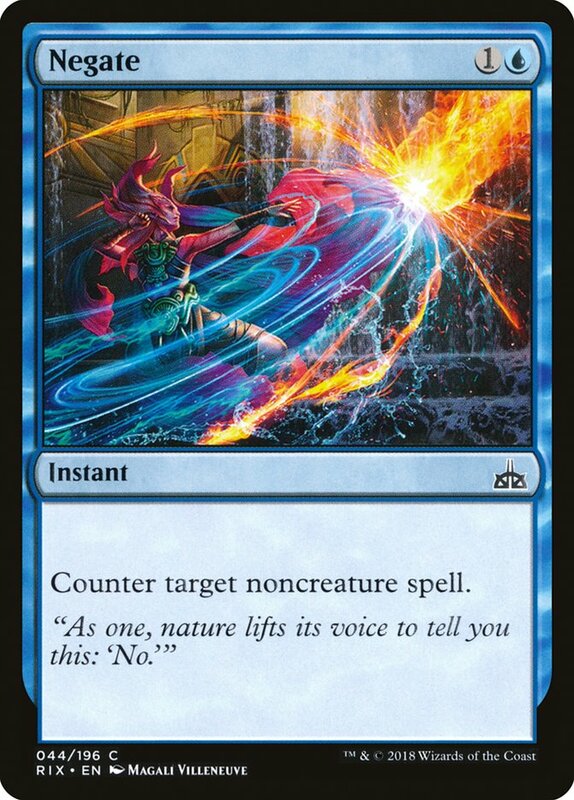 Thought Erasure is great against Wilderness Reclamation decks (snagging their big payoff or whatever) and great against Esper (take their best card and know exactly what you're up against), but it's also one of the best answers in the format to Hydroid Krasis, since making your opponent discard the Krasis stops the card draw ability (while merely countering does not). Ari Lax goes into detail on the reason for the sudden surge of Thought Erasure and makes a compelling argument for the trend to continue. 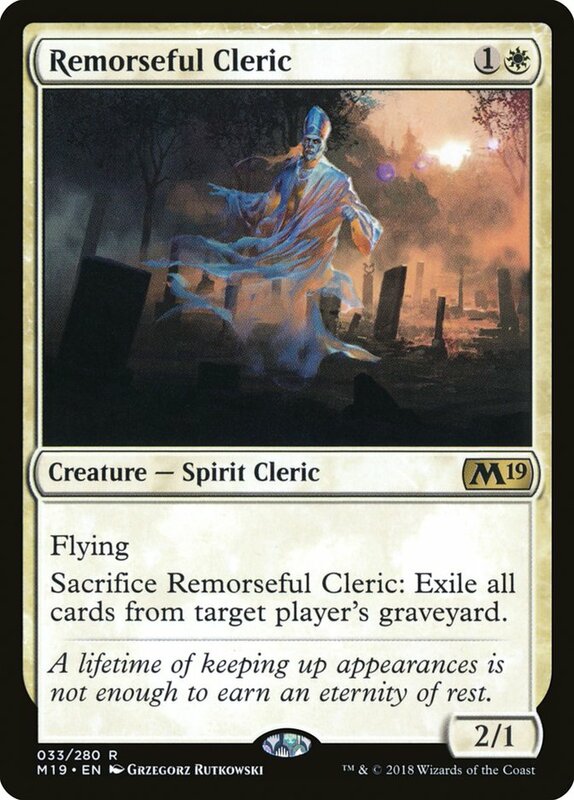 I've frequently been a Negate guy, even when other folks aren't, so I'm definitely excited to see a couple of maindeck copies here, suggesting it might be an okay time for it. 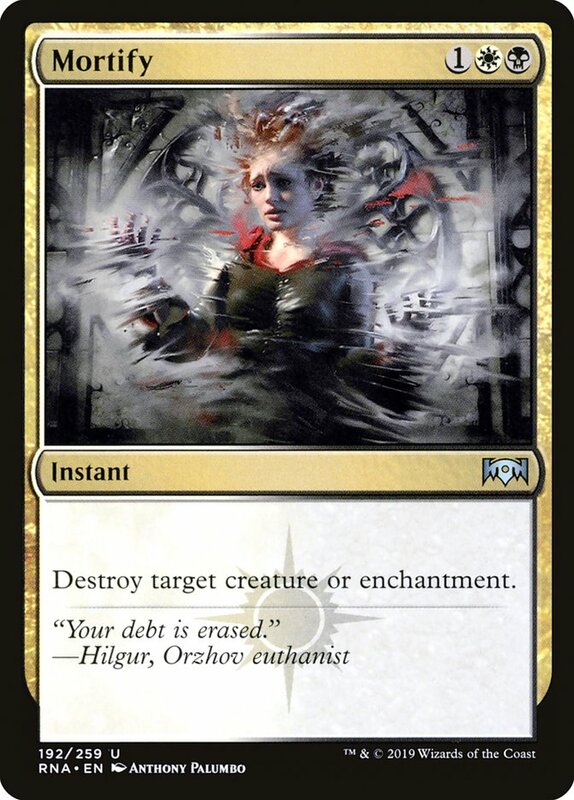 It's obviously amazing against Wilderness Reclamation and the mirror, but it's not like Negating Find // Finality or a Vraska's Contempt on your Teferi is bad. Abraham Stein's Top 8 list is very similar, but with a difference in sideboard plan I kind of like. Don't get me wrong, four Thief of Sanity is still the best thing going on, but everyone does that. I'm kind of into the Basilica Bell-Haunts here. 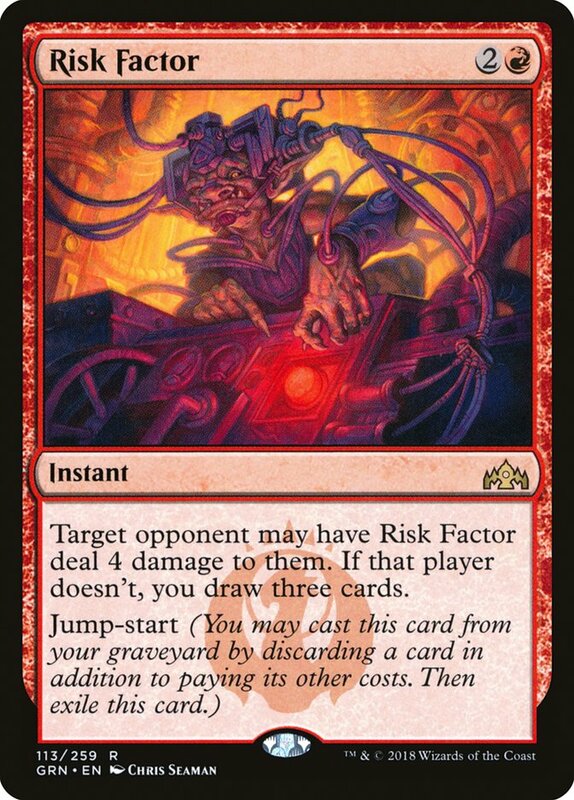 They will be deceptively strong against red, a strategy that's kind of on the rise now that everyone is back on Experimental Frenzy instead of Risk Factor. 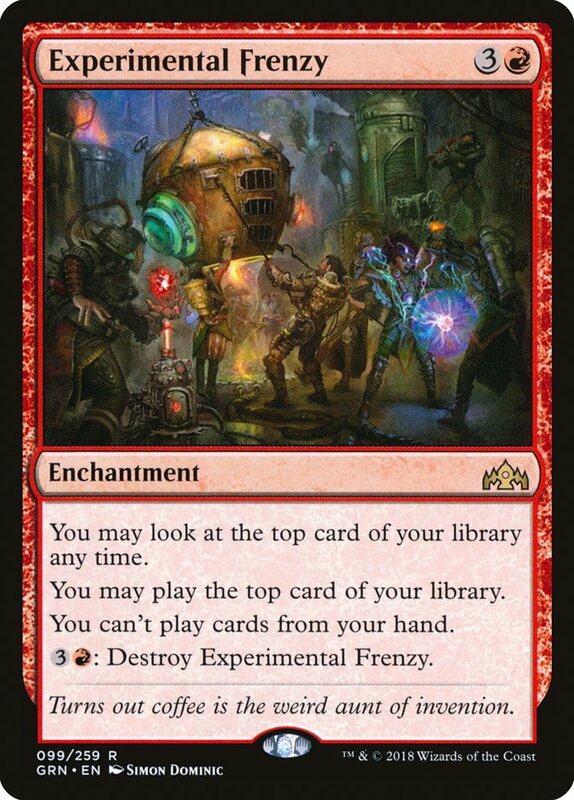 Experimental Frenzy isn't a natural pairing with Light Up the Stage, but the advantage it affords games that stall out is too much to pass up. 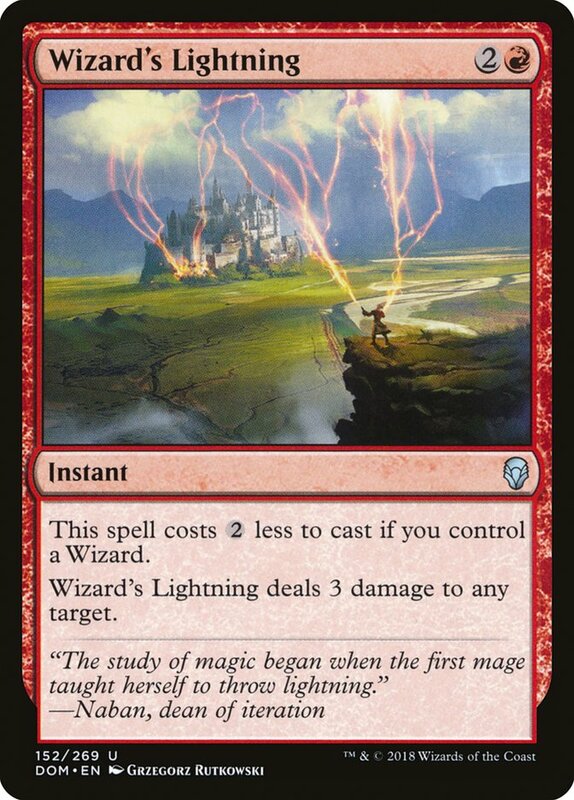 Kirby Thompson's Top 8 list was basically the same, with Wizard's Lightning instead of Fanatical Firebrand. I'm not sure how much weight to put into Fanatical Firebrand triggering spectacle, but there's definitely some appeal there. Nevertheless, just dealing three damage the old-fashioned way is good too. 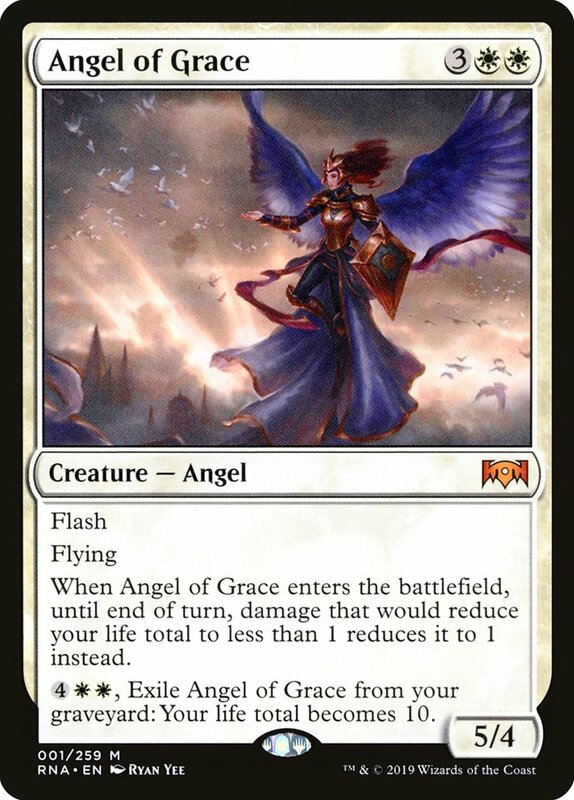 I don't think I'd want to play red in this format (at least not next week), as there are just too many attractive ways to naturally defend yourself: Hunted Witness, Basilica Bell-Haunt, Lyra Dawnbringer, Archway Angel, and Pelakka Wurm, just to name a few. 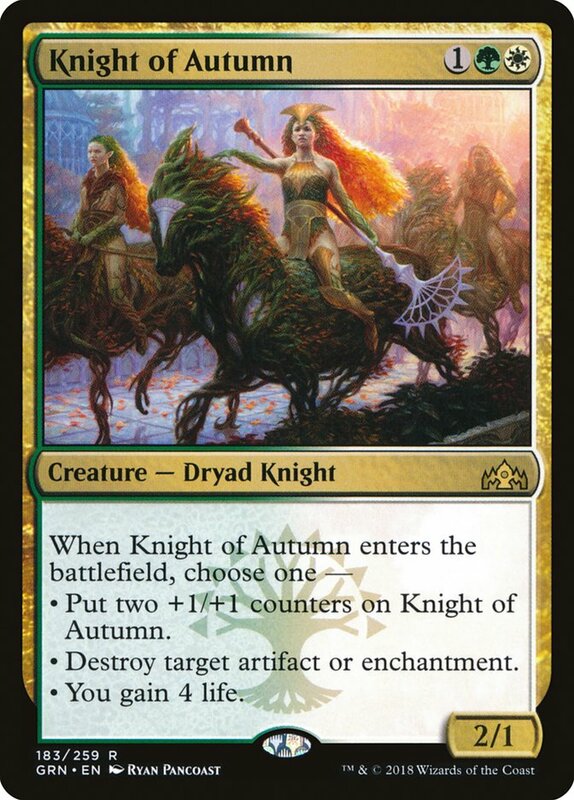 While it doesn't solve every problem, one card I'm interested in trying in these kinds of decks is the aforementioned Cindervines. The damage really adds up fast here, particularly against removal-heavy opponents, and the disruption to a Wilderness Reclamation deck seems just enough to be game-winning. You really don't have to try very hard, either. Eight green multicolor lands and a playset of Treasure Maps coming in should be plenty. Notably, this plan works slightly better with Wizard's Lightning than Fanatical Firebrand on account of four lands that would enter tapped. That said, it's probably not a very big deal anyway and we should just play whatever mix is giving us the best results in testing. 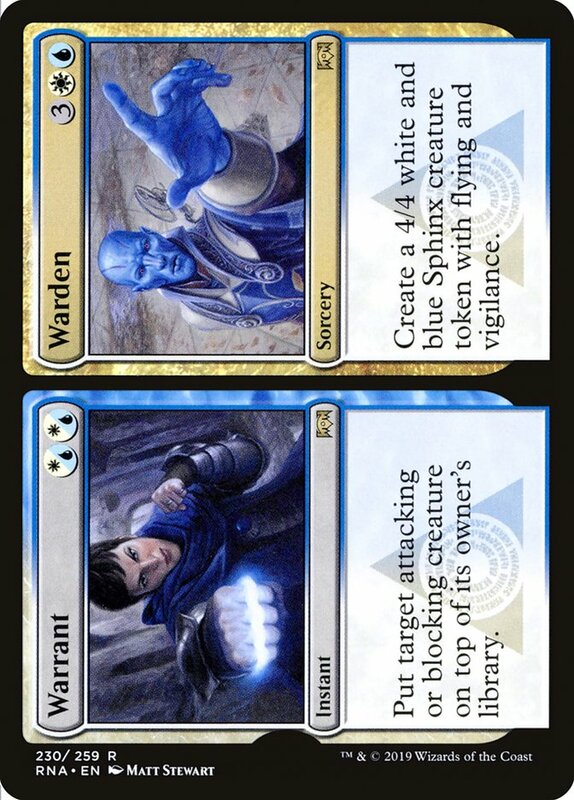 Speaking of monocolored aggro, interestingly, Mono-Blue Aggro has refused to quit. 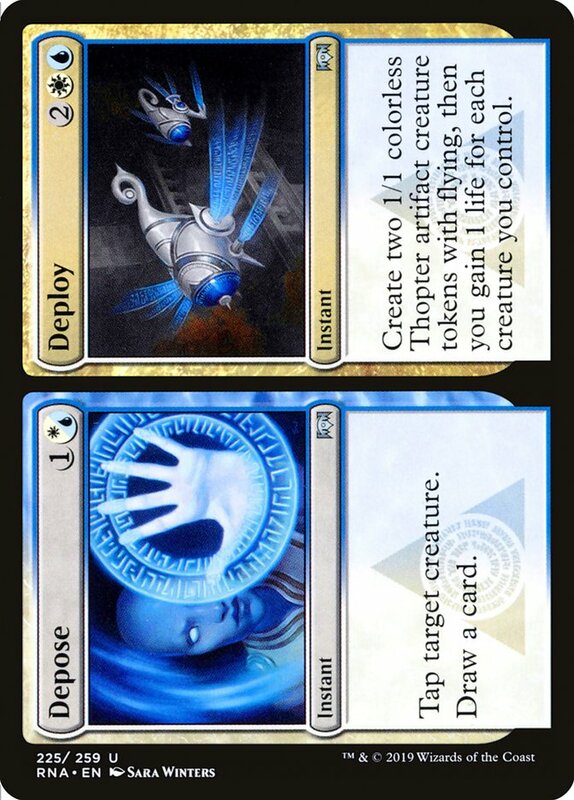 Once a fringe tech maneuver, Mono-Blue Aggro has been surprisingly resilient and now has a few Ravnica Allegiance upgrades available to it. Pteramander is an obvious addition, but a big one. Just as Delver of Secrets can make a big difference to Delver of Secrets decks, so too does Pteramander in what now should be considered Pteramander decks. That said, one of the things I like so much about it is how much better it makes Chart a Course, so it hurts my heart to see just one copy here. Johnson's list features two maindeck Entrancing Melodies, which look great right now. 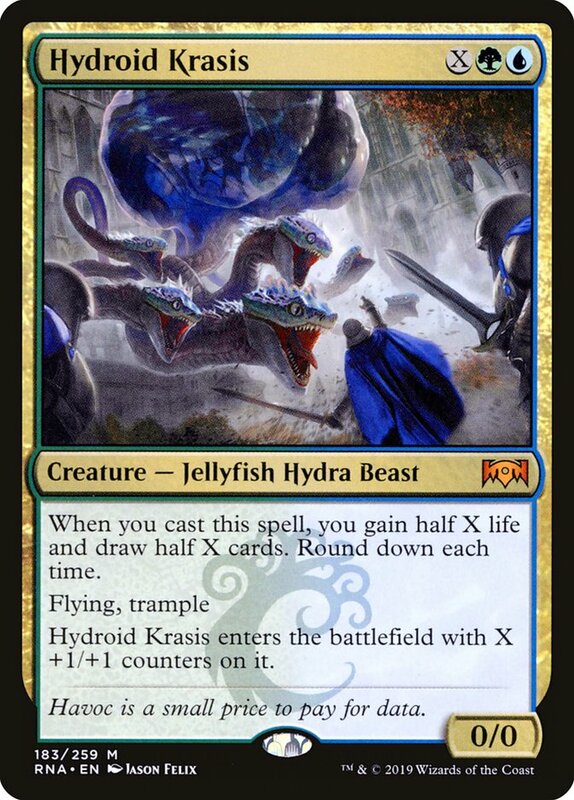 The ability to steal a Hydroid Krasis for only four mana is a powerful tempo play at just the right time. The mix of permission these decks play has always been a diverse one, and the addition of Quench and Essence Capture further complicates things. Essence Capture actually looks pretty sweet here, giving a little boost to one of our cheap fliers at basically zero opportunity cost over the Essence Scatters we were already interested in. Moving forward, I still think the most promising area of exploration is Wilderness Reclamation. So far, Nexus of Fate and Expansion // Explosion have been the biggest rewards, but I'm guessing there's a more Frilled Mystic / Growth-Chamber Guardian style out there. The recent ascension of Thought Erasure only further increases my desire for a faster, lower-to-the-ground style of Wilderness Reclamation, less ambitious and less vulnerable to disruption. I'm also not sure it's crazy to be packing Spell Pierce in such a deck. This format's advantages seem to snowball so hard, so fast. Every bit of tempo can matter a lot. 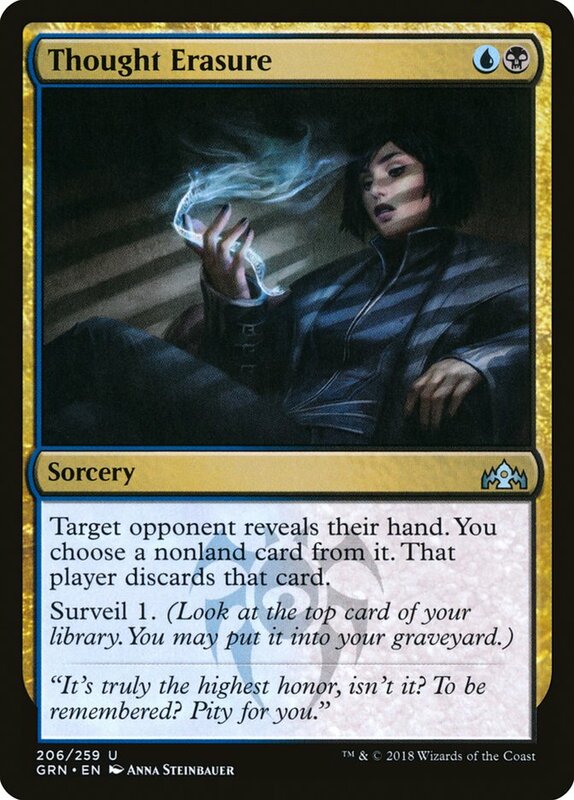 Generally speaking, if you want to get better against Esper, play cheap cards, make things awkward for them, and attack from a variety of angles. 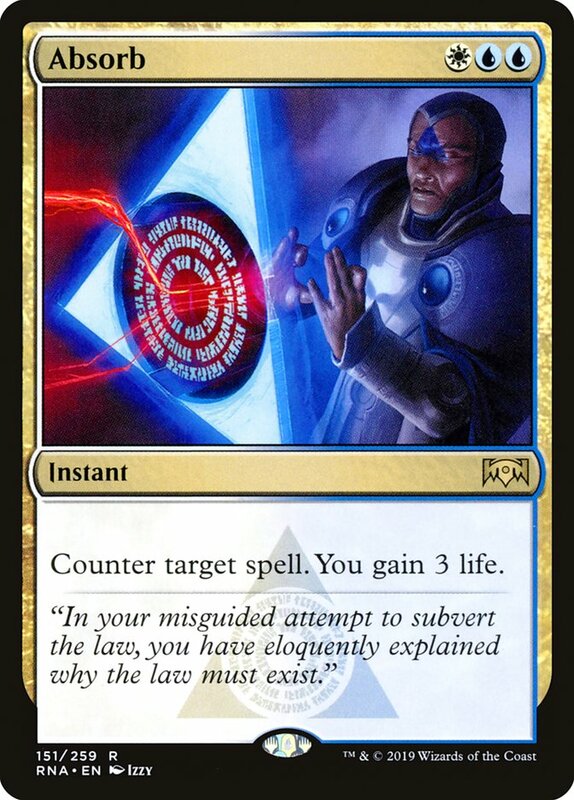 If you want to get better against Nexus of Fate decks, attack fast, keep pressure on them, and cover yourself with just enough interaction to buy you the time you need. 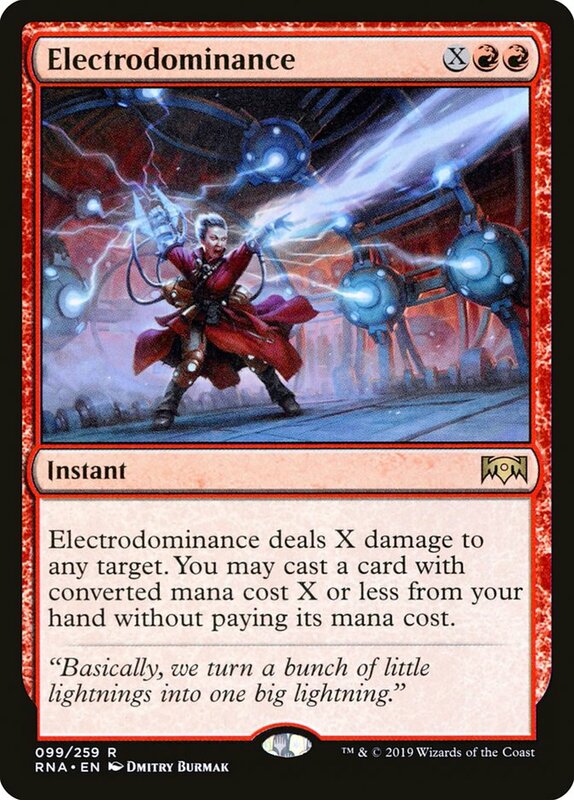 If you want to get edge against Mono-Red, play out your hand quickly and look for ways to gain at least a little extra life. All three require us to come out the gate quickly and keep our foot on the gas. Most games in this format will be decided quickly, and that should be a guiding principle in tuning our deck, whatever it may be, for next week.